In the previous article I shared impressions from Moscow,Remagen and Reykjavik. Here I will report about Bremen,Plovdiv and Sarajevo. Schachbundesliga, weekend in Bremen. If I could describe it with one word,I would tell : «Amazing». And it was really like that. The playing venue was…. stadium of Werder Bremen,one of the top football clubs in German Bundesliga. We played in a VIP lounge of Weserstadion,the conditions were more then superb : playing area,food,tables,chairs,etc. Moreover, during the game we had a possibility to walk on the tribune. One more news which made very happy : the team of Baden-Baden had come with : Anand,Svidler,Adams,Shirov,Bacrot,Naiditsch,Nielsen and Kasimdzhanov. I couldn’t believe that I played next to the World Champion,World Cup Winner,ex-World Champion and two vice-World Champions. The match SK Turm Emdsdetten vs Baden-Baden finished 2,5-5,5 but we showed a great team spirit by the way! Dariusz Swiercz got a winning position against Etienne Bacrot and I was about to win against Alexei Shirov but our opponents proved that they were elite players and managed to escape with a very precise defence. Against team «Trier» we won with a minimum score 4,5-3,5 so we will stay in Elite group next season! My score in season 2011/2012 was -1=10 with average 2624. As the season 2011/2012 is already over I’d like to use this opportunity to thank personally Mr.Reinhard Lüke and all sponsors,directors,management stuff and players of our club. Dankeschön! European Individual Chess Championship in Plovdiv. My first official event with a Turkisn National Team! I came to the EICC right away after Reykjavik and weekend in Bremen. 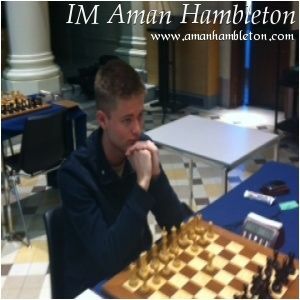 As I had never played before in EICC, it became the strongest tournament I’ve ever played. Our delegation was accommodated in official hotel of the EICC — «Novotel». The tournament had a zero tolerance rule so it was very important that we stayed next to the playing area. The thing which I remember the most from Plovdiv is a family atmosphere inside of our Turkish team. We were going out for a walk together, had team meetings with our lovely coach Efstratios Grivas and just supporting each other during the entire tournament. A special thanks to Mr. Yasin Emrah Yağız who cared a lot about us! My personal result was more or less good, I won some rating points and played interesting games. The most curious fact is that with White I took 1,5/5 and with Black 5/6! Press here to see detailed results of the Turkish team. Запись опубликована в рубрике Bosnia and Herzegovina, Bulgaria, Germany, Travelling с метками Bosnia and Herzegovina, Bremen, Bulgaria, Germany, Plovdiv, Sarajevo, Travelling. Добавьте в закладки постоянную ссылку.